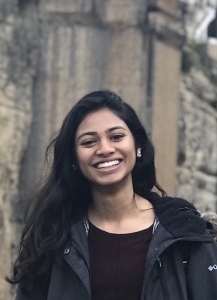 Kashaf Momin is an senior at Georgetown University majoring in Biology of Global Health with a minor in Economics. Her interests lie at the intersection of economic development and environmental sustainability, particularly in relation to food systems, waste management, and sustainable cities. At ELI, Kashaf contributes to variety of projects, including the database development for biotech and blockchain applications, business proposals for bioenergy production and green infrastructure financing in Belize, a best practices guide for businesses’ ocean responsibility, and conference planning. After graduation, Kashaf hopes to engage with her newfound interests, specifically advancing corporate commitments to sustainable strategies in their supply chain.